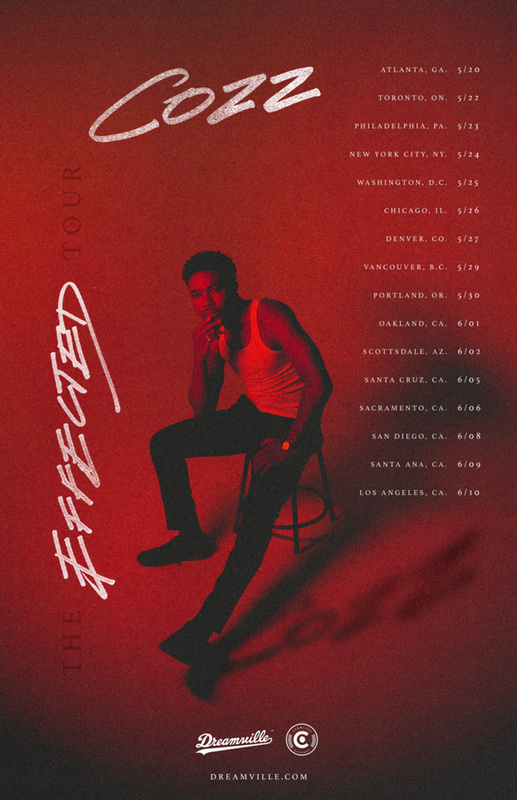 Today west coast Dreamville artist Cozz announces a nationwide tour in support of his critically acclaimed album Effected (Dreamville/Interscope Records). Released on February 13th, Cozz’s full length debut featured A-list collaborations with Kendrick Lamar, J. Cole, Curren$y, and Garren. The eponymous tour will kick off in Atlanta on May 20th and wrap up with a homecoming show in LA on June 10th. Along the way, Cozz will hit Toronto, Chicago, DC, Philadelphia, NYC, Denver, Vancouver, Portland, Oakland, Scottsdale, Santa Cruz, Santa Ana, and San Diego. The Effected Tour will be Cozz’s first tour in over a year.